When it comes to exploring our inner worlds, we all look out for someone we can trust and rely on. So here’s a little something for you to get better acquainted with us. Saroj is a seasoned practitioner and trainer of holistic healing with over 30 years of experience working with both individuals and organisations. 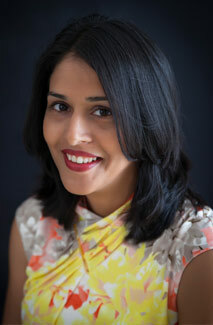 Her integrated methods focus on mental and physical wellbeing to enhance workplace wellness. Saroj’s unique approach brings together techniques from a range of practices such as Mindfulness Meditations, Yoga, Acupressure, Magnet Therapy, Reiki, Pranic Healing, Psycho Therapy and EFT (Emotional Freedom Technique) and Homeopathy, Naturopathy. Each session is curated based on client needs. Be it individuals with ailments such as asthma, anxiety, cancer, cervical problems, migraine, back problems, obesity, and high BP, amongst others. Or organisations looking to enhance employee motivation and wellbeing. Saroj has also worked with mentally challenged children and created her own techniques for treating children with special needs and ADHD. 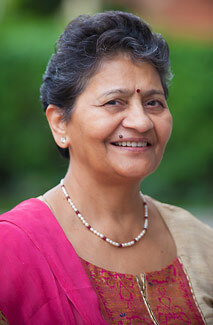 She has also developed special courses for eye-sight improvement and memory development using yogic techniques. Besides her extensive work with individuals, including as Yoga advisor to the ex President of India, Late Dr R Venkatraman, Saroj has also worked closely with several organisations. These include Kaya Skin Clinic, Bharat Vikas Parishad, Adhyatma Sadhna Kendra and public enterprises including IOC, BP, NTPC and CPWD. Anshu is a creative trainer and facilitator of experiential interventions aimed at building more energised, empowered and emotionally intelligent communities. She uses a unique blend of interactive learning and mindfulness to helps organisations and individuals enhance and improve their productivity and overall well-being. After working for 15 years in the corporate world as a creative and strategic communications specialist, An-shu realised the growing need for more mindful living amidst rising stress and busy lifestyles. This led to the establishment of her brainchild, The Inner Startup, which today brings together her avant-garde methodolo-gies and ideas. A creative entrepreneur and performing arts enthusiast, Anshu is trained in Forum Theatre under well-known artistic director Adrian Jackson in London. And then went on to specialise in ‘Theatre of the Oppressed’, a school of theatre-making which offers theatre as a tool for liberation and empowerment, under Barbara Santos in Kuringa, Berlin. She has also undertaken intensive training programs in ‘Therapeutic Movement’, acting and stagecraft as well as programs on mindfulness with monastics from the Zen tradition of Thich Nhat Hanh. Organisations across sectors have engaged with The Inner Startup, including Manipal Hospitals, YES BANK, Genesis BM, YES Institute, Jones Lang Lasalle, MNC Pharma, RBS, Fortune Institute of International Busi-ness, Lady Irwin College, Mobile Crèches, Suncity School, amongst others.